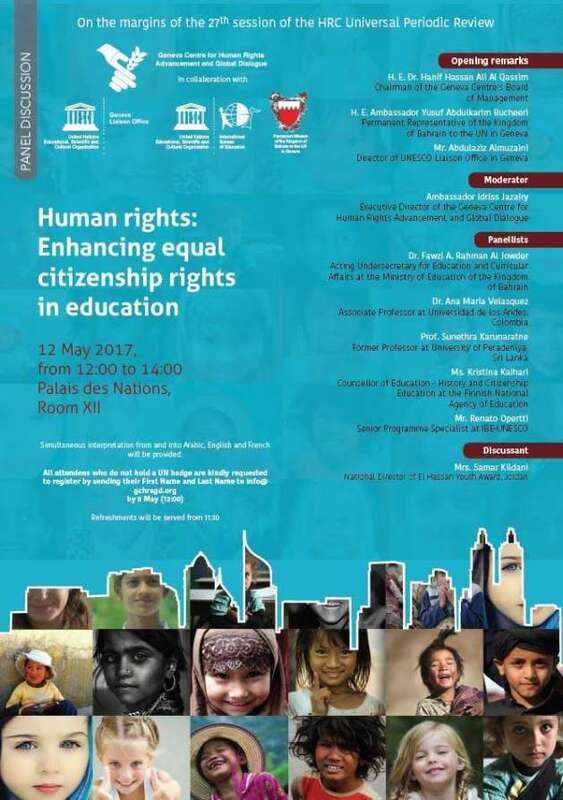 ROME/GENEVA, May 9 2017 (IPS) - The role of education in enhancing equality of citizenship rights and diversity within communities affected by inter-communal civil strife will be top on the agenda of a meeting in Geneva on May 12. The meeting is organised by the Geneva Centre for Human Rights Advancement and Global Dialogue (GCHRAGD) –known as the Geneva Centre– in cooperation with the UNESCO Liaison Office in Geneva, the International Bureau of Education – UNESCO, and the Permanent Mission of Bahrain to the United Nations Office in Geneva. The panel discussion, entitled “Human rights: Enhancing equal citizenship rights in education”, is aimed at reviewing the role of education in strengthening equality of citizenship rights and diversity within communities affected by inter-communal civil strife. The purpose of the panel debate will be to analyse the impact of training to promote equal citizenship as part of human rights in school curricula and teaching methodologies with the broader aim of promoting a culture of peace and developing healthy, inclusive and fair societies. The experts panel aims at broadening the discussion on human rights and global citizenship education to encompass the promotion of equal and inclusive citizenship rights through education within national societies. According to the panel organisers, enhancing equal and inclusive citizenship rights fits against the backdrop of education on human rights and global citizenship, echoing at the domestic level the same ideals of a more tolerant, cohesive, and peace-driven world. 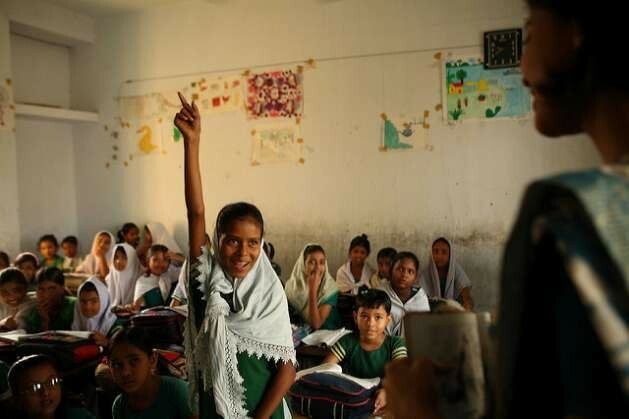 On this, the executive director of the Geneva Centre, Idriss Jazairy, said that the “panel debate is a timely opportunity to discuss the role of education in promoting and in enhancing at the domestic level equal and inclusive citizenship rights. The Geneva Centre is an independent, non-profit, non-governmental organisation dedicated to the advancement of human rights through consultation and training with youth, civil society and governments. It acts as a think-thank dedicated to the promotion of human rights through cross-cultural, political, religious and civilisational dialogue, and through training of the upcoming generations of stakeholders in the Arab region. The Centre conducts independent research and provides insights about human rights in the Arab region and to examining multiple viewpoints on human rights issues, with special focus on systematic rights weaknesses in the Middle East and North Africa region.